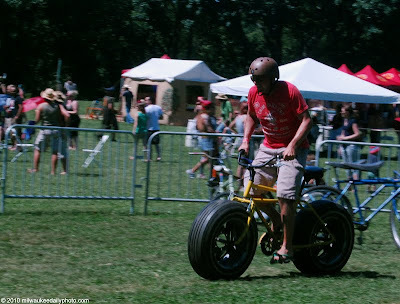 Another bike from the menagerie at last weekend's Tour de Fat. This frame was retrofit to accommodate car tires. It looked like it would have been fun to ride, but a little heavy to pedal up a steep hill.